It’s time for ‘Japan by Prefecture‘ again! This is the series that aims to provide the highlights of each prefecture of Japan, along with my personal favourites and suggestions from readers. This week, we’re looking at Osaka (大阪府). Osaka Prefecture is part of the Kansai Region (関西地方) and the capital is, of course, Osaka (大阪市). Unlike Kyoto Prefecture, which has a lot more going for it than just the city of Kyoto, Osaka Prefectures highlights are all pretty much in the city of Osaka. So, although I’ve been trying to come up with some ‘out of the box’ ideas for this post all week, in the end I’ve decided it’s best to focus mainly on the attractions in the city. A big thank you to Zooming Japan, Kei, Alex, and Japan Australia for their great suggestions for this week’s post, especially for those that were a little unusual. 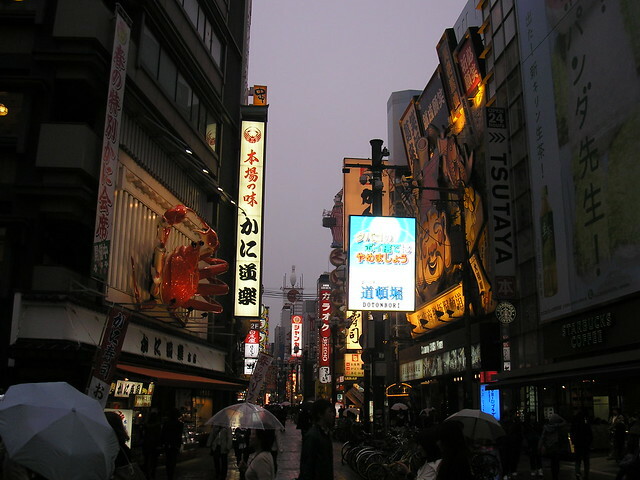 I first visited Osaka back in 2007 on my second trip to Japan. Osaka hadn’t featured on my first itinerary, and to be honest I think it’s a city a lot of people do skip. On the surface, it’s just another massive city, but Osaka actually has a character quite unlike Tokyo, and I really do think it’s worth visiting. I’m a city person (although I’m appreciating rural places more the older I get), and I love Osaka. It has a brilliant atmosphere – much more lively that Tokyo in some ways, and a bit more down-to-earth. The street food in Osaka is also some of my favourite food in Japan! Other than my first trip to Osaka, I visited once whilst I lived in Japan (once in three years – shocking!) in 2009, but I’m also planning to include Osaka on my itinerary for this year’s trip. I can’t wait to go back! The Namba (難波) district, centre of an area simply known as Minami (南) – ‘south’ – is where it’s all at in Osaka. This is where all the cool kids hang out, where you want to be staying, and where you want to be eating and drinking. 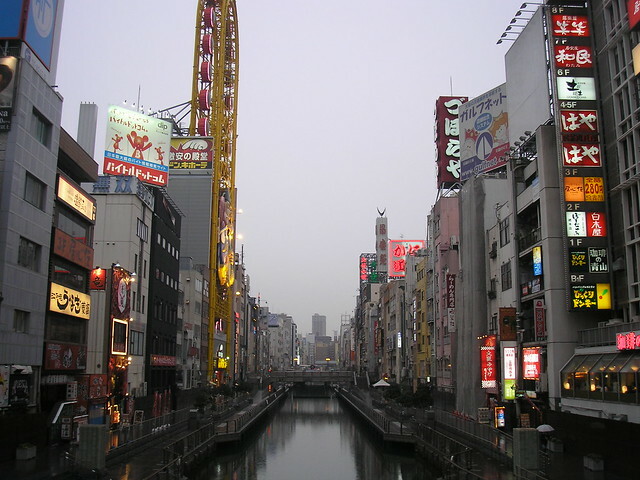 At the heart of Namba is Dotonbori (道頓堀) (pictured above), a street running parallel to the Dotonbori canal which is popular for dining and entertainment. The whole area is lit up with hundreds of neon signs and advertising boards, some of which are mechanised such as the legs on the giant crab in the picture above. 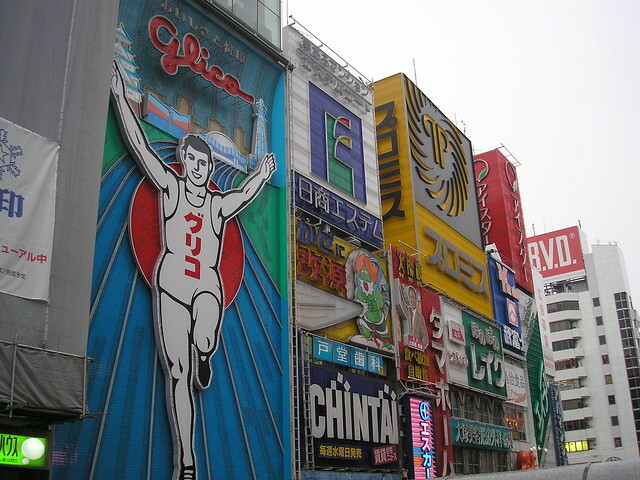 One of the most famous sights in this area is the iconic Glico running man sign. However, fans of this sign were disappointed to hear in 2014 that there were plans to replace the old neon sign (first installed in 1935) with an LED powered sign. I’ll have to take a look later this year and see if it looks very different. 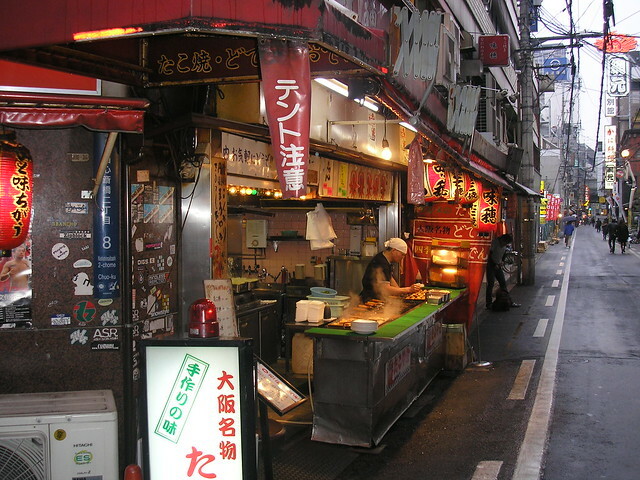 Dotonbori is the place to go for street food in Osaka. 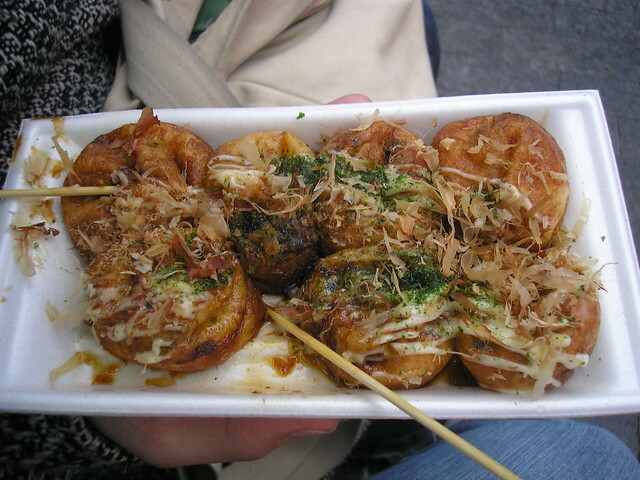 The two most famous ‘must-eats’ are takoyaki (たこ焼き) – grilled balls of batter filled with octopus – and okonomiyaki (お好み焼き) – a savoury pancake containing a variety of grilled ingredients. No trip to Osaka would be complete without trying these! 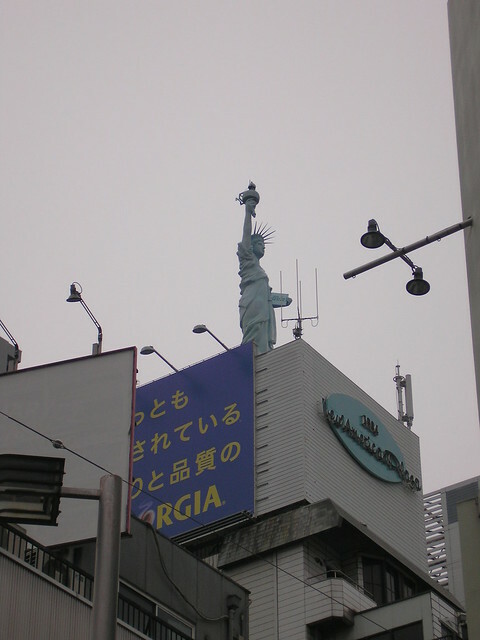 Also in Namba is the bizarre Amerikamura (アメリカ村), or ‘America Village’, known by locals as ‘Amemura’. This district is similar to Tokyo’s Harajuku district, and is the place to go for teenage fashion and culture. It is also home to lots of kitsch homages to America, including a small-scale reproduction of the Statue of Liberty. So that’s the Minami (South) district – how about the North? 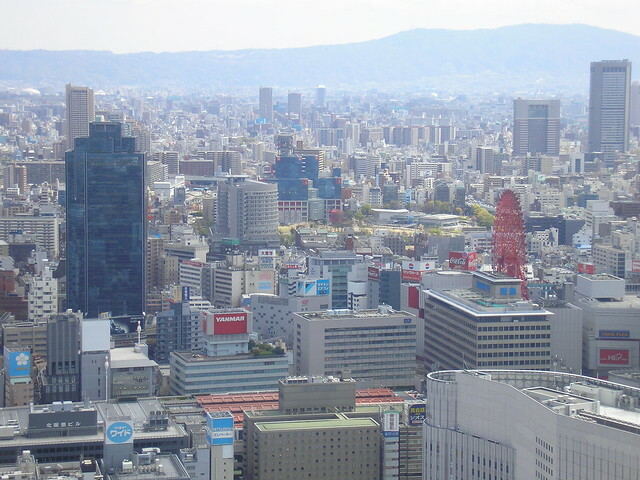 The Kita (北), North, district is also known as Umeda (梅田), and this is the other main ‘centre’ of Osaka. This area is much more of a business district though, and there is a lot less to see and do there. There is one attraction worth seeing though, and that’s the Umeda Sky Building |(梅田スカイビル) (one of my favourite buildings in Japan). 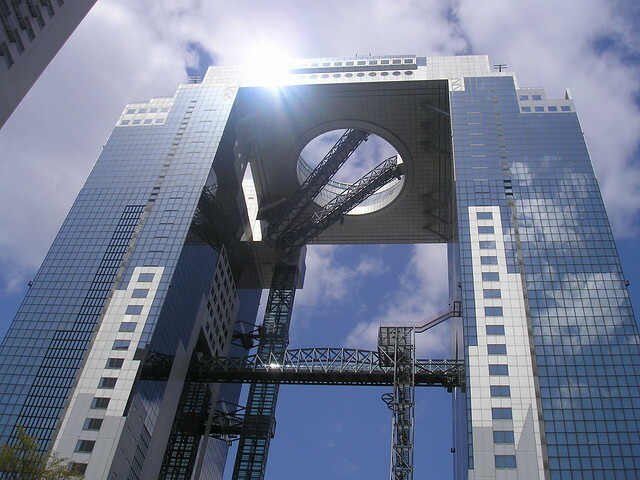 The Umeda Sky Building is 173 metres tall, and is known for its interesting architecture consisting of two towers connected by a floating garden observatory. In the basement of the building there is a restaurant mall called Takimi-koji, which is a replica of a Showa period (1926 – 1989) style street. Also in this district is the HEP FIVE red Ferris wheel. 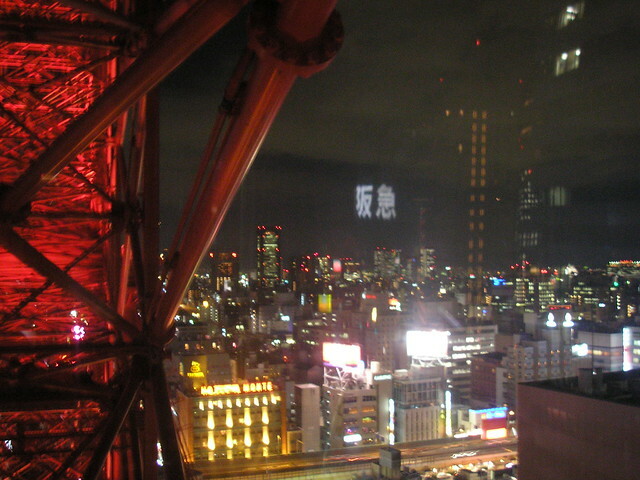 I remember riding on the wheel when I first visited Osaka and just thinking ‘this is Blade Runner country’. View from HEP FIVE – the picture doesn’t do it justice! On my first visit to Osaka the aquarium (Kaiyukan / 海遊館) was also one of my highlights. I do really love an aquarium! 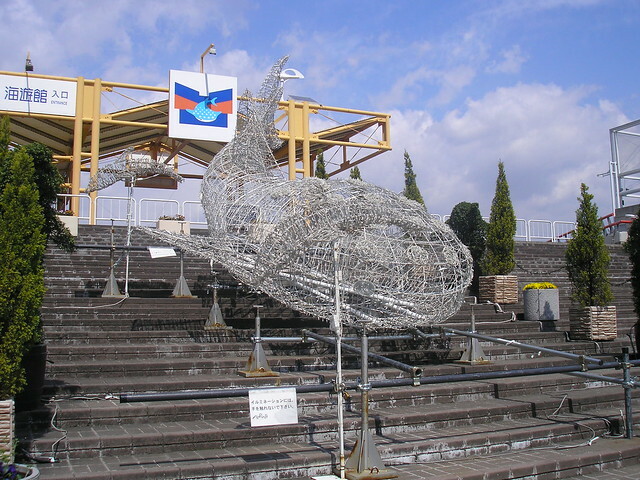 The aquarium, located in the Osaka Bay area, is home to a whale shark, which is the aquarium’s main attraction. Apparently this is the only whale shark on display in the world! Close to the aquarium, on Sakurajima Island (not really an island) is Universal Studios Japan (ユニバーサル・スタジオ・ジャパン) (USJ). 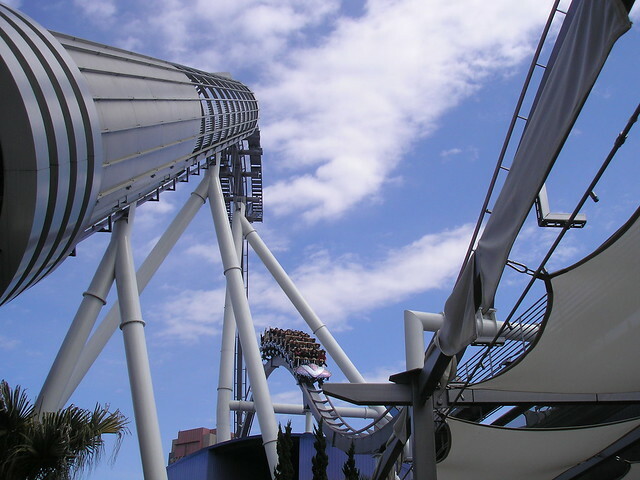 The main reason for my 2009 visit to Osaka was to go to USJ, and I absolutely loved it! 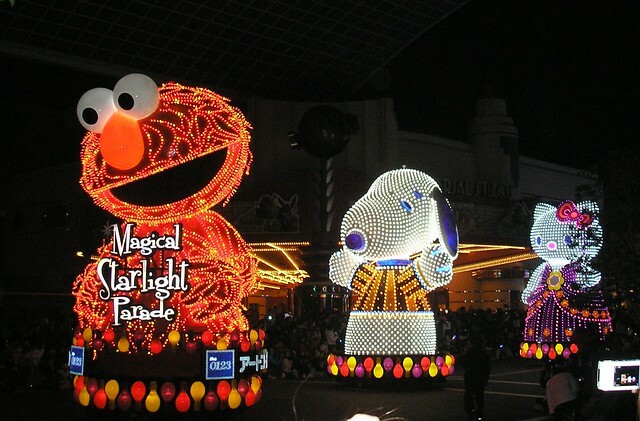 USJ is a little more grown-up than the Tokyo Disey Resort, but still full of roller coasters, silliness and illuminated parades! Of course, there are all the Universal characters and movie set-style attractions too. Although Osaka is a very modern city, it’s not without its history. Osaka Prefecture is actually home to a number of interesting shrines and temples, and also a couple of castles. Shitennoji (四天王寺) is one of Japan’s oldest temples, founded in 593 by Prince Shotoku who supported the introduction of Buddhism into Japan. The temple buildings have been destroyed by fire a number of times over the years, but have always been rebuilt to reflect the original 6th century design. 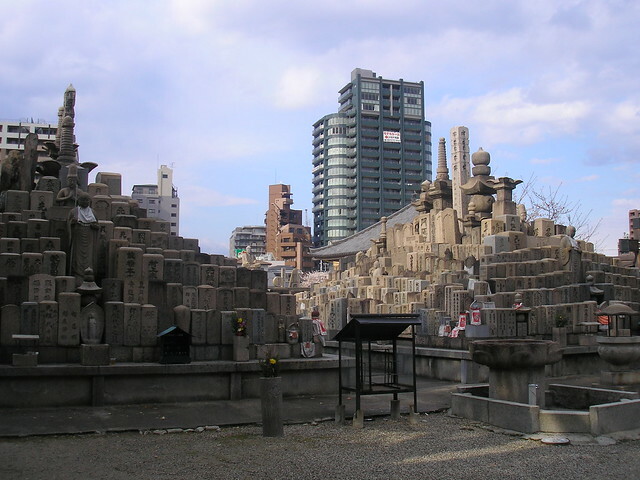 Shitennoji, 2007 – graves towering as high as the skyscrapers! Another temple worth noting is Katsuoji (勝尾寺), which is in Mino (箕面市) in the north of Osaka Prefecture. 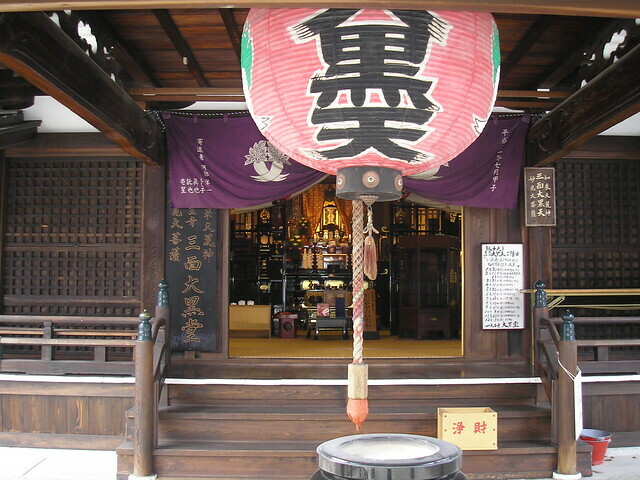 The ‘katsu’ in Katsuoji’s name refers to ‘winning, and people are known to buy Daruma (達磨) dolls for ‘winner’s luck’ at this temple. 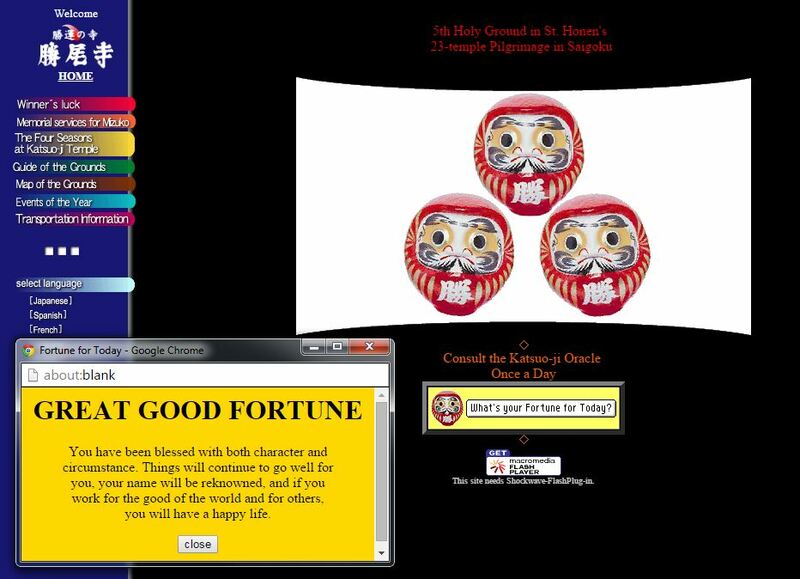 The temple is famous for its huge collection of Daruma dolls, many of which were returned to the temple after the owner’s wish had been fulfilled. 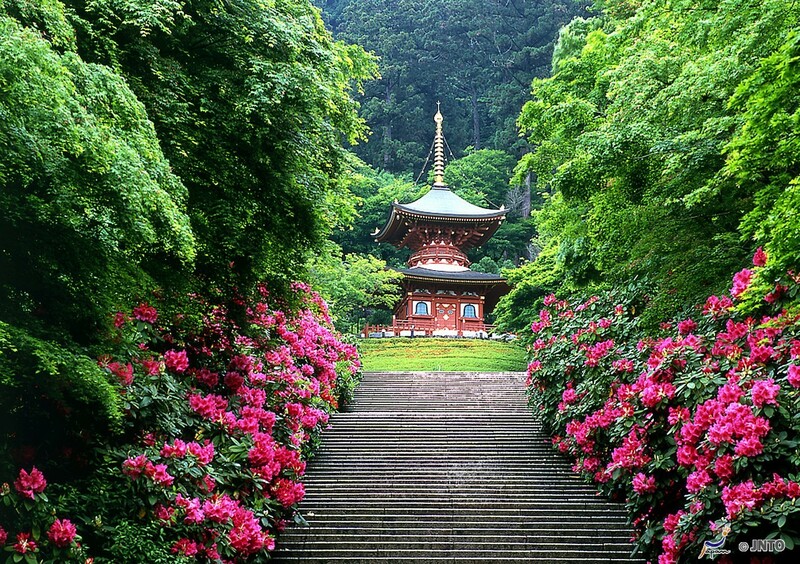 Katsuoji is located in Mino Park (箕面公園), which is famous for its waterfall, hiking trails and other temple buildings including Ryuanji (箕面山龍安寺), also known as Mino Temple. Like Mount Takao in Tokyo, Mino Park was given a quasi-national park status in 1967 to commemorate the hundredth anniversary of the Meiji period (1867 – 1812). Mino is not a city that many tourists would get to, I don’t imagine, but it’s definitely one that’s worth a mention. 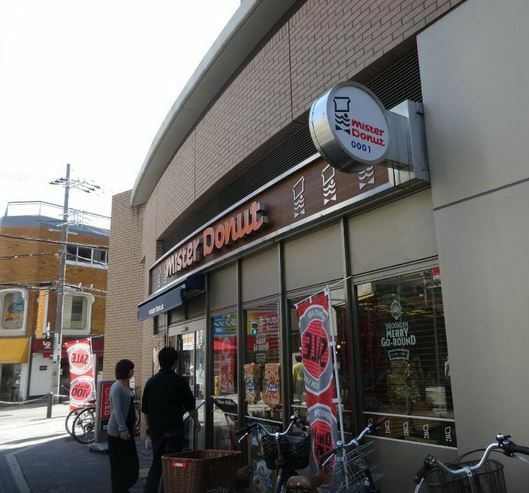 If nothing else, it’s home to the very first ever Mister Donut (ミスタードーナツ) shop in Japan, opened in 1971. 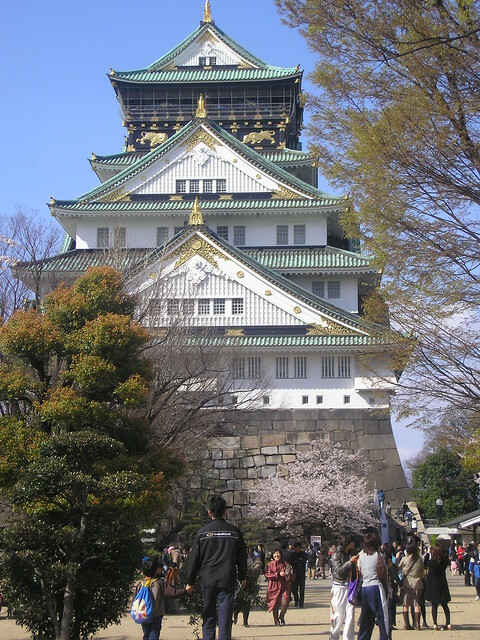 Moving on to castles, Osaka Castle (大阪城) is a reconstructed castle, and nowhere near as epic as Himeji Castle which we will no doubt visit next week (in Hyogo Prefecture), but it’s still a great castle to visit if you have no other Japanese castle on your itinerary and time is limited. This reconstructed building was built in 1931, and in 1997 it underwent major repair works, making it all look pretty lovely, actually. Of course, being a modern, reconstructed castle, it does have a lift inside, which is a bit odd, but at least it’s accessible! Another option for a quieter castle in Osaka Prefecture, away from the hustle and bustle of the city, is Kishiwada Castle (岸和田城). This castle was originally built in 1597, and after being destroyed in 1827 it was reconstructed in 1954. It is now used as a folk museum, and has an interesting rock garden called Hachi Jin no Niwa in the grounds. I was pleased to find that there is more to Osaka than just the vibrant and modern city we all know, but despite discovering some beautiful natural areas in Osaka Prefecture, I think it will always be Namba I return to! Where to begin with souvenirs (or ‘omiyage’ / おみやげ) from Osaka Prefecture? A lot will feature octopuses because of the famous takoyaki street food, but don’t be fooled into thinking they all contain octopus! Unless of course you manage to find the octopus lollypops I once bought!! 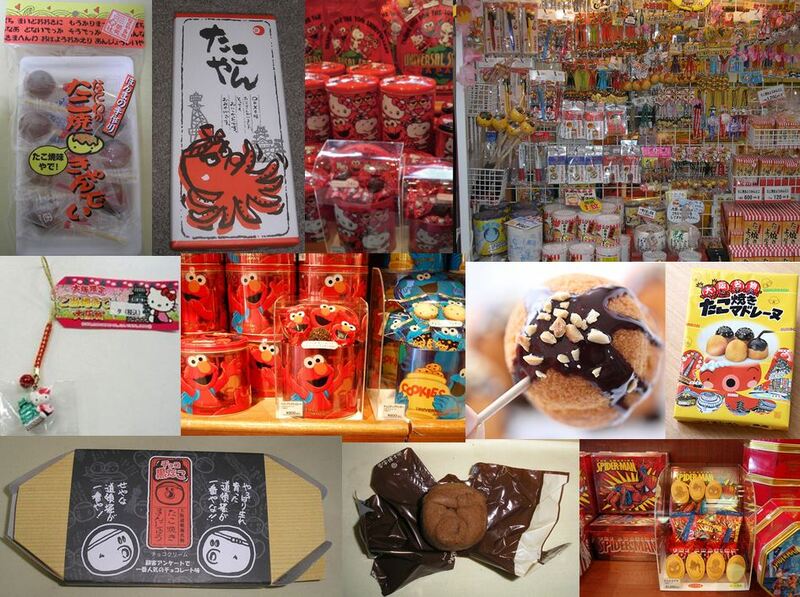 Lots of souvenirs also feature cute takoyaki balls – amazing how cute food can be in Japan! Of course there’s also all the usual sort of stuff featuring Osaka Castle, Hello Kitty, etc. and souvenirs from Universal Studios Japan, too. Next week I will be writing about Hyogo (兵庫県). Have you been there? What’s good to eat there and what omiyage should I buy? What are the best sightseeing spots or hidden gems? Please do share your thoughts below, and join me next week for Japan by Prefecture! 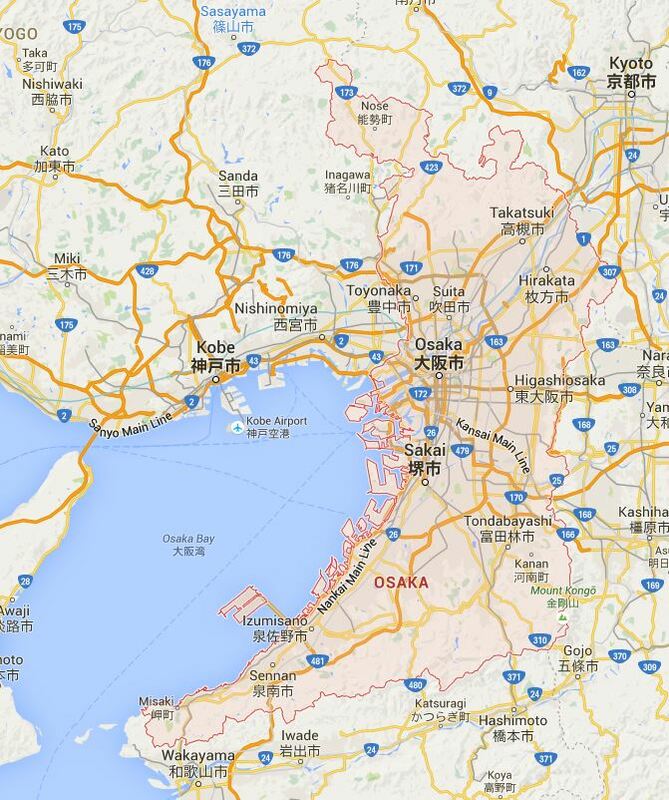 Yeah, it’s so close to Osaka that I think a lot of people forget or get confused sometimes. 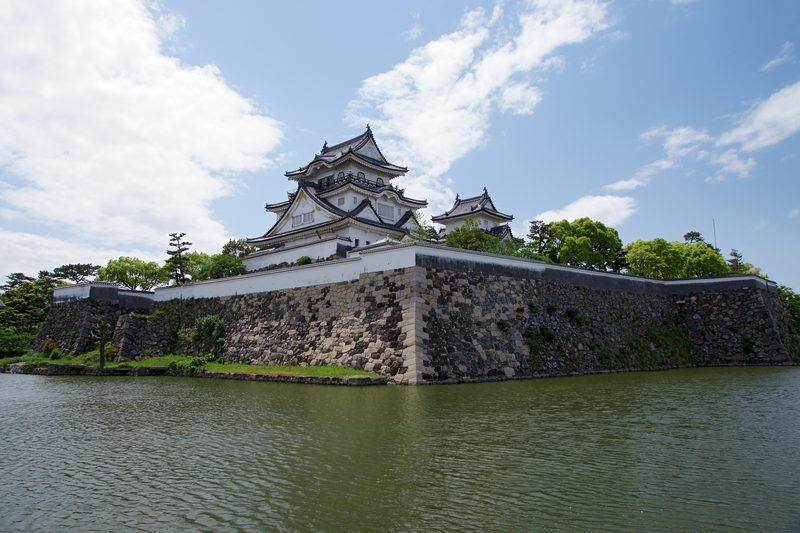 Hyogo Prefecture has a lot of great castles to visit. The biggest and most famous is of course Himeji Castle. I also really like Takeda Castle, which is often called ‘The Castle in the Sky’ or ‘The Machu Picchu of Japan’. My home castle (Asano-clan) of Ako Castle is also really cool. The castle was built by Asano Naganao in 1648 and is famous for its association with the Forty-seven Ronin. Kobe is also a great place to visit and is one of my favourite bigger cities in Japan. It is a very cosmopolitan and attractive modern city with lots of do and see. Himeji-jo is at its prime after its recent extensive restoration – glorious, and the unquestioned best in Japan. So much so that the allies refused to bomb it in WW2. The Museum of History, just to the castle’s East, has great scale models of several prominent castles and the opportunity several times a day (by lucky dip) to dress in full Heian-era kimono or samurai armor – an opportunity not to be missed. For something different, a few stops out SW is Tegarayama with its Tudor ‘castle’ features and Italian garden. Similarly, Nagoyama, a little NW – walking distance from the castle is a vast urban cemetery. Japan’s only sea-level castle is Ako-jo, 28 km WSW, which features the avenue of statues of the legendary 47 Ronin. A few train stops North (to Koro-eki) and a short walk takes you to the national toy museum, a vast and charming collection of toys from cultures all around the world with several available for demonstrations or personal use. Northern Hyogo includes a couple of features for those who like a little travel. Kinosaki, easily accessible by train, is a great spa town and, in season, a top source of lobster. It is here that the Japanese come to don getta and yukata to make their way around the compact town with its ropeway to the nearby summit. For those travelling by car, a lunch stop at Izushi offers top noodle feasts and a pleasant castle with its 38(?) torii, overlooking the city. Osaka has the National Bunraku Theatre, home of the magnificent doll plays with puppets operated by three men. 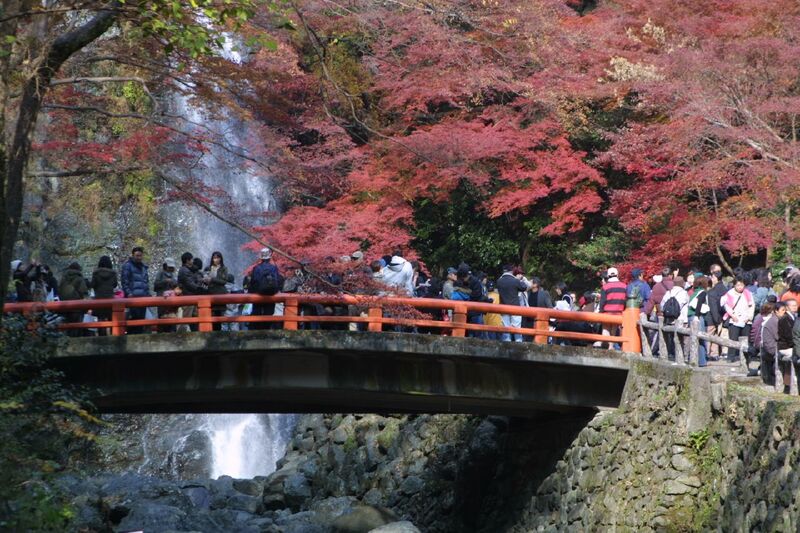 It has limited seasons of operation but is a memorable experience that will touch the heart of any Japanophile. Ako Castle, Himeji Castle, Takeda Castle (“The Castle in the Sky”), Izushi City (+ Izushi Castle), Akashi Kaikyo Bridge, Awaji Island, Kobe, Takarazuka (for fans of Osamu Tezuka and Takarazuka theater), Kinosaki Onsen, …..